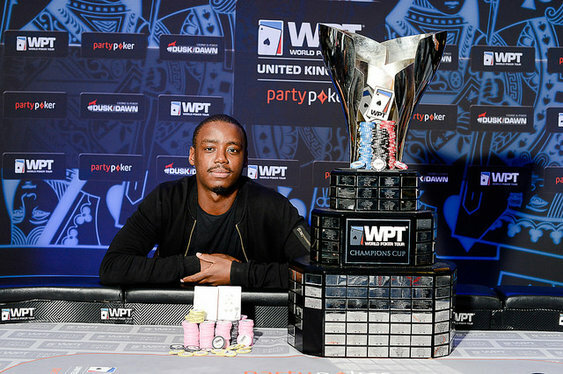 Iaron Lightbourne delivered a lights out performance at Dusk Till Dawn in Nottingham on Sunday to win the main event of the partypoker World Poker Tour (WPT) UK tournament. After starting the six-man final table in the lead, the Londoner topped a field of 450 runners to secure a £200,000 ($301,979) pay-day, which represents the biggest live tournament score of his career. Chi Zhang was the first competitor to be sent to the rail after falling victim to Fraser Bellamy while Simon Betts ended the day in fifth thanks to the flush of Craig McCorkell. Bellamy soon delivered his second knockout blow to eliminate Andrew Seden, whose pocket 9s were no match for pocket queens, while it took nearly another hour for three to become two. Bellamy lost a decent chunk of change after his straight failed to best a Lightbourne full house and he then took a stand with Qs7s. Lightbourne subsequently tabled pocket jacks, which held to take the game heads-up. The two-handed action lasted just four hands with Lightbourne ending up on the right side of a flip when his pocket 7s held against McCorkell's Ac10d.